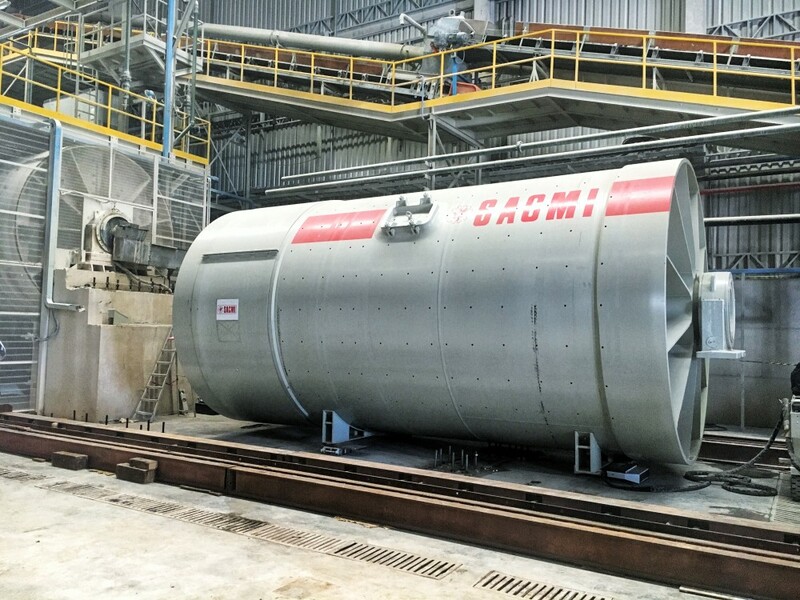 A SACMI Imola PH 7500 hydraulic press being unloaded from a multi-axle low bed trailer in Brazil. 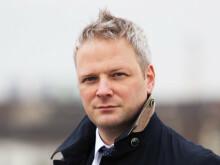 Panalpina Energy and Project Solutions did it again with another #MajorMove. This time by handling two port-to-door shipments for one of Brazil’s leading ceramics makers with an output of over 30 million square meters of tiles per year. The tiles are produced for a global market and used in architecture and interior design. 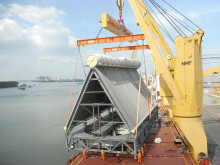 The move included ocean and overland transportation of an industrial mill and a hydraulic press from Genoa, Italy’s busiest port by cargo tonnage, to Paranaguá, one of the main gateways in southern Brazil, as well as the installation of both machines in Tijucas, Santa Catarina. 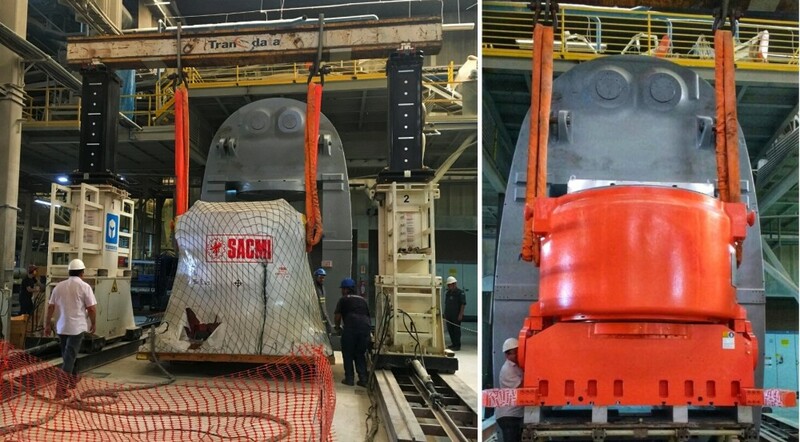 Made in Italy by industry leader Sacmi, the 176-ton state-of-the-art hydraulic press Imola PH 7500 was dismantled into its two main components and packed separately for transport. 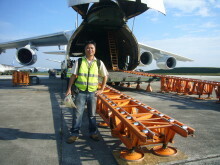 The main unit (7.63x3.89x2.59 m) had a weight of 120 tons, while its press motion system (3.17x2.66x0.90 m) was 56 tons. Hydraulic presses are used for the forming of ceramics powder. 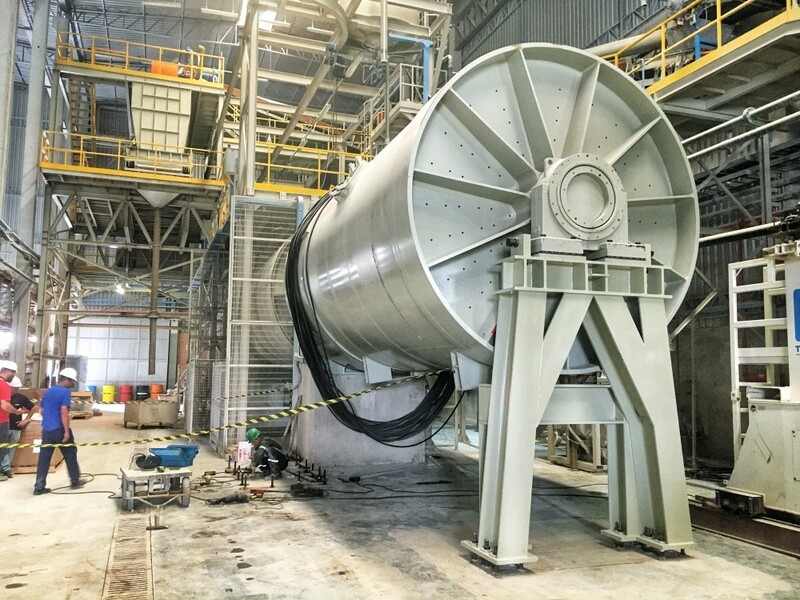 The second machine was a fully-assembled 32-ton Sacmi MTD drum mill (8.0x3.62x3.67 m) designed for the wet grinding of ceramic clays and glaze frits. These units are generally used for the production of porcelainized stoneware. 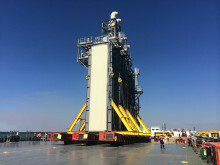 “Although the parts had a long way to go, the main challenge was to navigate the last few corners inside the warehouse at project site. The narrow doors, warehouse columns, internal structures, and machines surrounding the points required a very detailed analysis and complex execution. 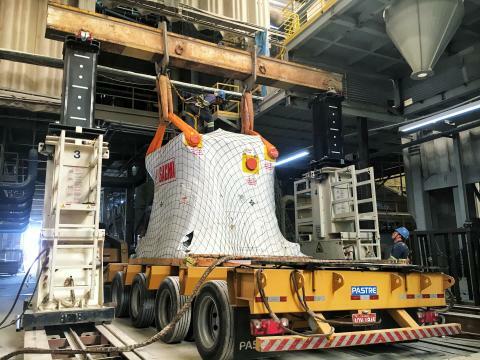 The handling required several maneuvers to have both press and mill positioned for final lifting,” says Anderson Antonio, Panalpina’s country head of Energy and Project Solutions, Brazil. “One of the reasons why Panalpina was chosen for this move was our ability to provide this kind of last-mile service for oversized cargo, which is essential for the high-output globalized economy we live in,” concludes Anderson. 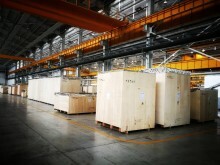 Both machines are now an integral part of the customer’s production plant. For the final touches, the tiles go through big burners for drying and sintering, and after more production steps the finished products are then shipped out to countries on five continents, mainly through the same port of Paranaguá that saw the press and mill arrive in Brazil. Learn more about Panalpina’s knowledge, experience and global force of skilled professionals to craft a transportation solution for any heavy or oversized move. 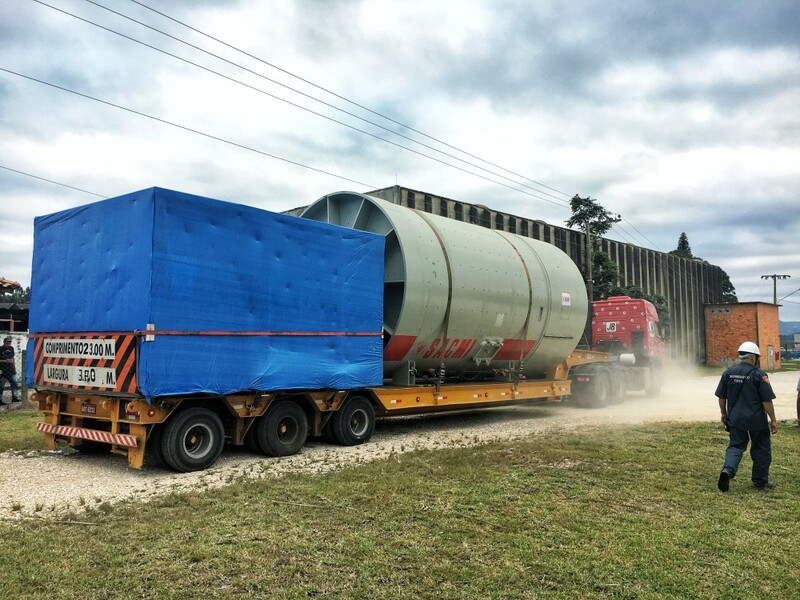 The heavy drum mill is escorted into the plant premises at destination in Tijucas, Santa Catarina, Brazil. This is how 32 tons of drum mill look after final lifting.